Kim Possible, Disney Channel's live-action original movie based on the hit animated show of the same name, is due to debut early next year. Christy Carlson Romano and Patton Oswalt have joined the cast of Disney Channel's Kim Possible, a live-action movie based on the hit animated show about a heroic high school student. 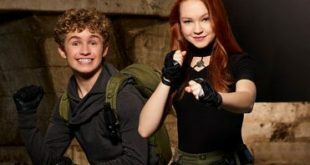 Casting has begun on Disney Channel's new original live-action movie based on the hit animated series Kim Possible, which debuted on the network in 2002.